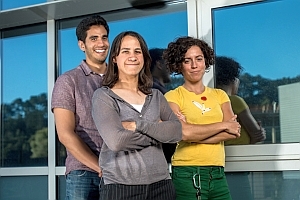 Chemists and materials scientists at Lawrence Berkeley National Laboratory in California created a window coating of nanocrystals that can dynamically control the sunlight passing through the window and thus improve a building’s energy efficiency. The team led by Berkeley Lab’s Delia Milliron published its findings yesterday in the journal Nature (paid subscription required). The Department of Energy, of which Berkeley Lab is a part, says the U.S. spends $400 billion each year to power homes and commercial buildings, accounting for 70 percent of all electricity consumed and contributing almost 40 percent of the country’s carbon dioxide emissions. Moreover, says DoE, about 20 percent of that energy and money is wasted, providing a potential annual savings of $80 billion. The technology developed in the Berkeley Lab’s Molecular Foundry is based on a new type of electrochromic material — with the ability to change properties when subjected to an electric current — that embeds nanocrystals of indium tin oxide in a matrix of niobium oxide, resulting in a glass-like composite material. The new material is able to both control visible light, as well as near-infrared rays that produce heat. The Berkeley Lab team, with a colleague from Institut de Ciència de Materials de Barcelona in Spain, discovered that the niobium oxide matrix interacts with the nanocrystals to increase its electrochromic performance. That interaction causes a rearrangement of atoms in the glass-like matrix, opening up capacity for an electric charge to more easily enter and leave, thus achieving more control of the heat and light passing through. As a result of this discovery, the coatings on windows can be thinner without reducing its electrochromic effect, making it possible for the coatings to selectively control solar radiation by varying the electric charge to either block the near-infrared rays to control heat or the visible light. The composite material, the researchers report, is also quite stable, retaining 96 percent of its charge capacity after 2,000 cycles. Milliron and co-author Guillermo Garcia started a company, Heliotrope Technologies, to commercialize the technology. The company last year was awarded a Small Business Technology Transfer grant of $150,000 with the Berkeley Lab to develop a low-cost commercial version of the nanocomposite material. Milliron and colleagues from the Berkeley Lab tell more about their smart window technology in the following video.